CPD’s Racial Justice Campaign works in collaboration and solidarity with our partners and allies across the country for an end to discriminatory and oppressive policies that marginalize Black people and other communities of color. Our society faces a myriad of challenges deeply rooted in white supremacy and historical policies that require advocates to meet this moment with bold visioning and complex strategies. We use campaigns, research, and advocacy to assist our partners in creating a society where structural oppression is eradicated and all people can control their social, economic, and political destinies. CPD looks to strengthen the power of communities to ensure investments in safety, education, health, and housing reflect local priorities and control. Our theory of change focuses on building relationships across geographies and enacting meaningful change at the local and state level, which improves the everyday lives of Black and brown communities, while also fighting to lay the infrastructure and narrative groundwork for radical and transformational change. We believe deeply that meaningful and sustainable change comes from the ground up and must be created by those most impacted. We seek to build the capacity of local organizations to pursue a transformational vision of racial justice that includes divestment from violent state structures and unbridled privatization, and the abolition of hyper-criminalization and mass incarceration, and reinvestment in the health, safety and wellbeing of Black and brown communities. In the face of growing threats to communities of color from both the federal government and local actors, we plan to expand our Racial Justice initiatives. As a primary focus, we will be resourcing multi-jurisdictional organizing and campaigns that advance Black freedom and power to be led and designed by our partners of color on the ground. 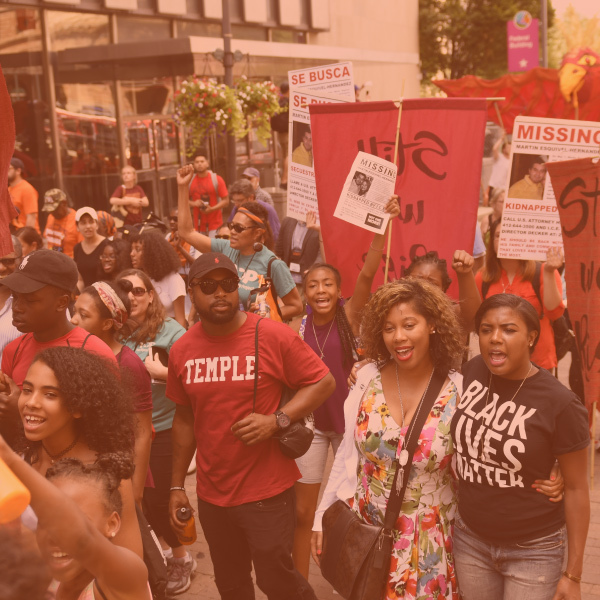 We continue to be active in national spaces, including collaborations with the Movement for Black Lives and other national consortiums working on invest/divest budgetary campaigns, reducing mass incarceration, and prosecutorial reform and accountability. These relationships have allowed us to strengthen our CPD network and expand our allyship with other local and national organizations, enhancing our collective capacity to move a racial justice agenda forward to fruition. Should Chicago Spend Money on a Police Academy? Cash Bail Fuels the Prison Industrial Complex.